Bake’n Joy makes products that satisfy any size or type of bakery business. We use only the highest quality ingredients and source as close to our manufacturing facility as possible. We believe our commitment to using only the best ingredients distinguishes our products in terms of taste and texture. 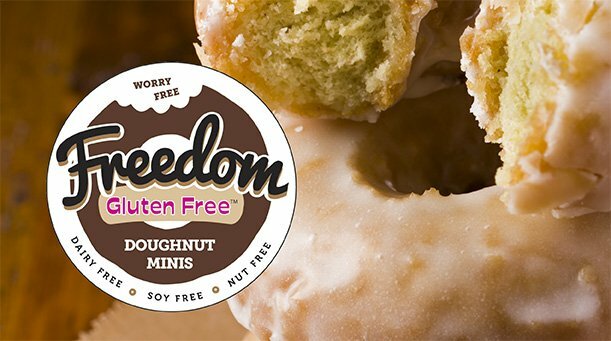 Freedom Gluten Free™ Doughnut Minis are gluten free, dairy free, peanut free, and tree nut free doughnut treats. Easily add these to your bakery offering as a convenient grab n go breakfast, dessert or snack item.